There is a lot that buyers need to consider when looking to purchase property in Port Elizabeth. This is a brief guide to some key property trends observed since 2008. The Eastern Cape real estate market provides great value when compared to property hotspots, such as Cape Town and Johannesburg. Boasting one of the most promising property sectors in the country, the bright, breezy metropolis is appealing to live in, invest in, and retire to. Recent data by Lightstone property reveals that younger buyers are very active in the PE property market. From January 2018 to December 2018, the majority of buyers (37%) were young adults aged between 18 and 35 years, while the home buying rate among middle aged buyers ages 36 to 43, is just 1 percentage point lower than millennials. In PE, the majority of property owners have lived in their home for 11 years or more before moving on. Among existing owners, 54% lived in their property for more than a decade, while 40% of recent sellers had been living at the same place for 11 plus years. Though property owners overall are remaining in their homes long term, not everyone is staying put for extended periods, with 23% of current owners having a tenure of less than five years and 35% of recent sellers letting go of their properties within five years. A city as diverse as Port Elizabeth has much to offer every property style taste and preference. The most popular property type in PE, according to sales figures, is freehold homes. Over the last year, 1775 freestanding homes have been sold; 28 properties with a value of R19 756 000 to first time home buyers, and 1747 properties with a value of over R2.1 billion to repeat buyers. The second best selling property type is sectional title schemes, of which 31 units with a total value of R25 683 000 were sold to first-time buyers, and 1 773 units with a total value of over R1.3 billion. Homes in estates were the most desirable to first-time buyers, with 40 estate properties finding new owners in this group for the period. Estate sales were slower, however, among repeat buyers, with only 274 properties with a value of R389 670 000 sold. An escalation of PE housing prices was shared across all property types over the last decade, although these increases were not as dramatic. In 2008, buyers paid an average of around R690 000 for freehold properties and R515 000 for sectional schemes. In 2018, the average property value was just over R1 million, a 44% increase but still in line with the national average. The price of sectional schemes experienced slower growth - from an average in R515 000 in 2008 to R675 000 in 2018, creating a marketplace favourable to lower income buyers. In 2008 there were a total of 2184 transfers for freehold properties and 1913 transfers for sectional title schemes. Freehold registrations, a better representation for the broader marketplace, generated positive results for most of the following decade with the number of transfers averaging between 1407 and 2245 over the past ten years. The number of registrations for sectional titles remained volatile for the period, dipping to 1003 in 2003, peaked at 2057 in 2014 and finished at 1794 in 2018. There are plenty of suburbs to check out before you decide where to live in Port Elizabeth. Summerstrand is a traditional hotspot for high-end customers, however, as buyers look for more value for money, PE provides a more affordable alternative. Humewood and Walmer, which are located close to Summerstrand, are making a name for themselves, as they come with lower asking prices and easy access to schools, shopping and other amenities. Lorraine and Sherwood - two suburbs near the city centre, are also appealing hunting grounds for new buyers looking for value. 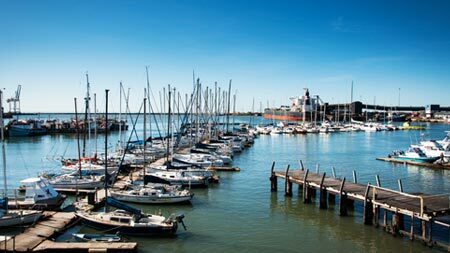 There's no doubt that Port Elizabeth, with its temperate climate, glorious beaches, and strong regional economy, is one of the most pleasant cities to call home. In fact, PE is consistently rated as one of the country's friendliest places. Whether you’re looking to buy an investment property or your dream home, you could make a purchase that will bring you years of happiness in PE. Known as a well-established upmarket residential area, Brooklyn is popular for arts, dance and theatre, super amenities, and great educational organisations.